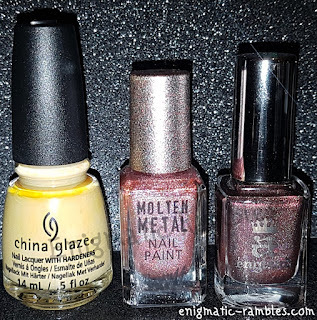 Seeing it is almost the end of 2018 it is time for my annual nail polish battle. 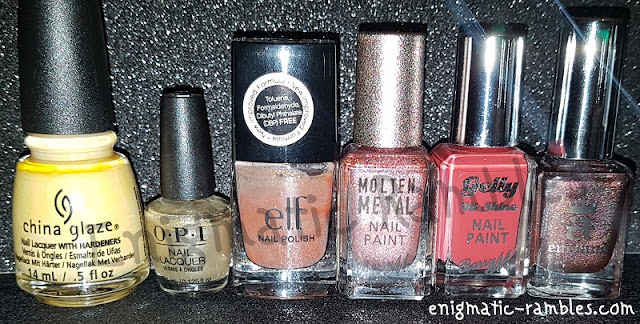 I find it interesting to look back over the year at the new polishes I have gotten and seeing which ones are my favourites. 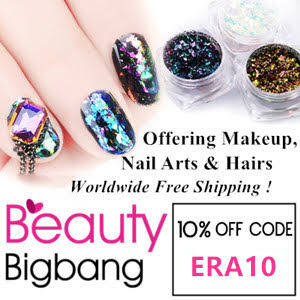 So since last years nail polish battle I have 63 new nail polishes which is 10 more than last year.. Oops! Today I am looking at yellow, gold and beige ones. 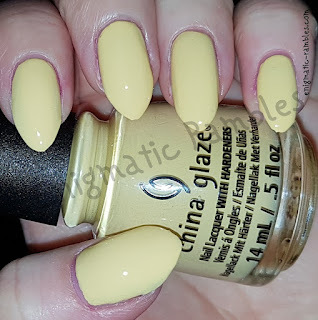 China Glaze - Werk It Honey is a almost opaque in one coat, not something I would wear as is but something I have gotten quite a lot of wear from in the form of nail art this year. 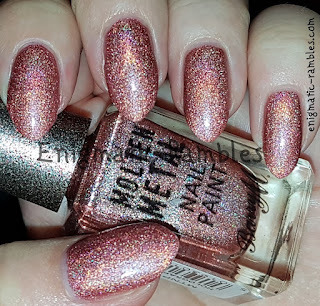 Barry M - Sunburst, is a peach holographic polish. Originally when I saw this release I decided I didn't need it, however once I had seen it in store I changed my mind because it would be unique to my collection. And the winner is, A England - Briarwood! 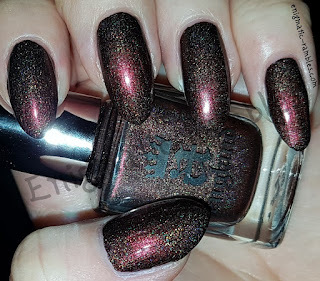 I chose this as the winner as it is darker than the others, something I have been wearing recently and it is a beautiful autumnal holographic polish. 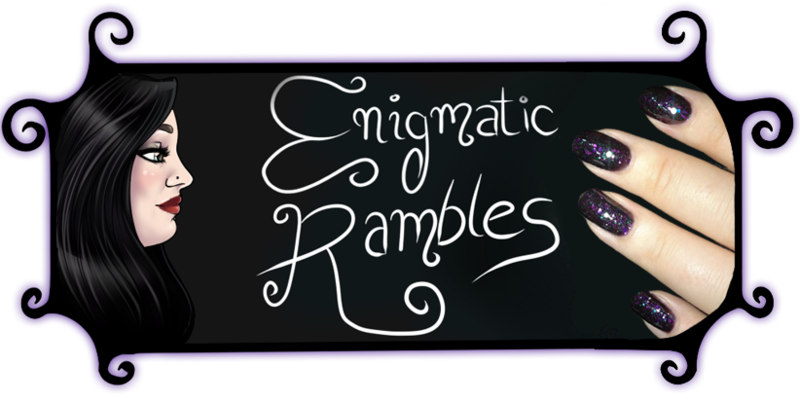 Labels: a england, Barry M, Briarwood, China Glaze, ELF, Gift of Gold Never Gets Old, Ginger, Glamour Girl, Nail Polish Battle 2018, OPI, Sunburst, Werk It Honey!